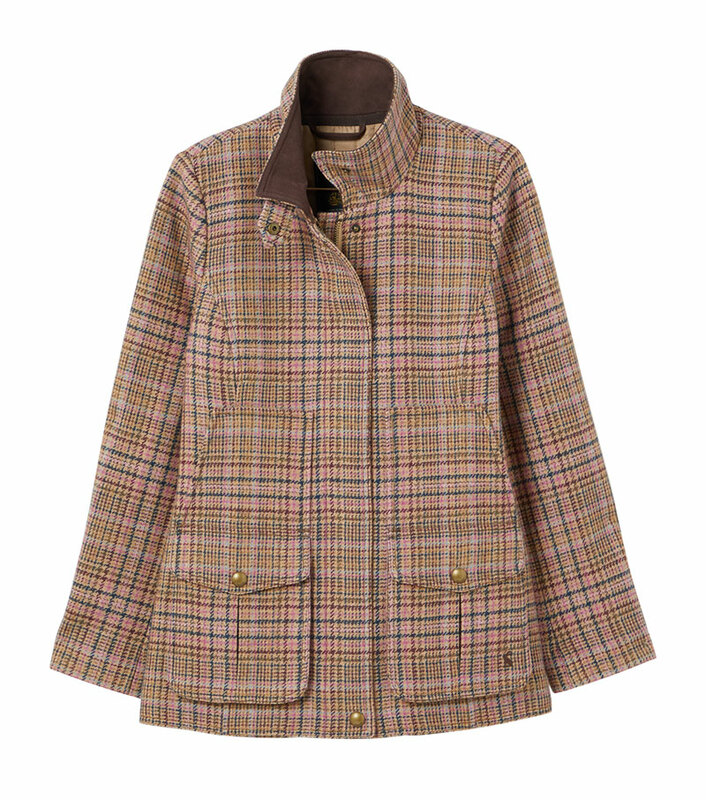 This beautiful tweed jacket from Joules is a timeless classic that will last season after season. 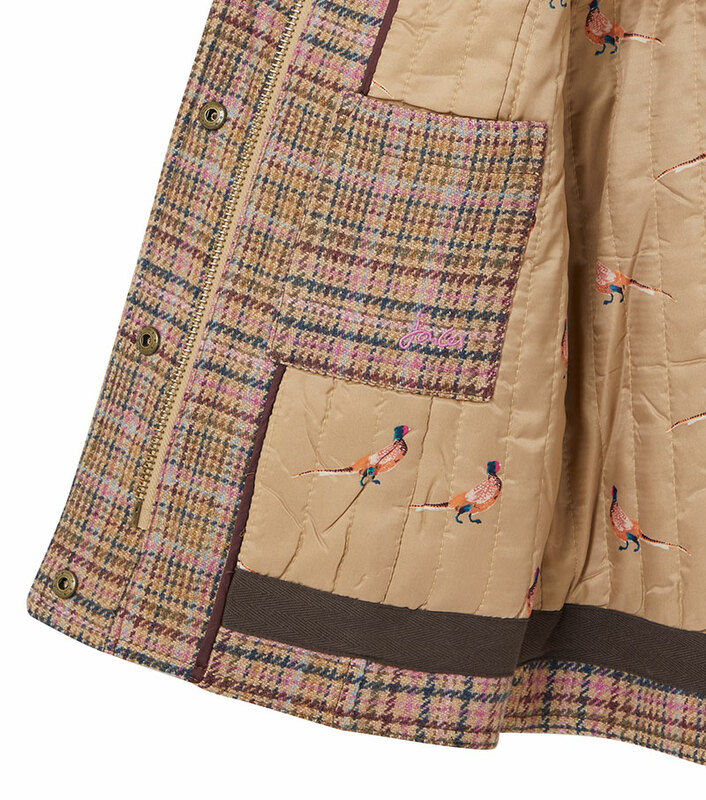 Perfect for country sports but stylish enough for any occasion. 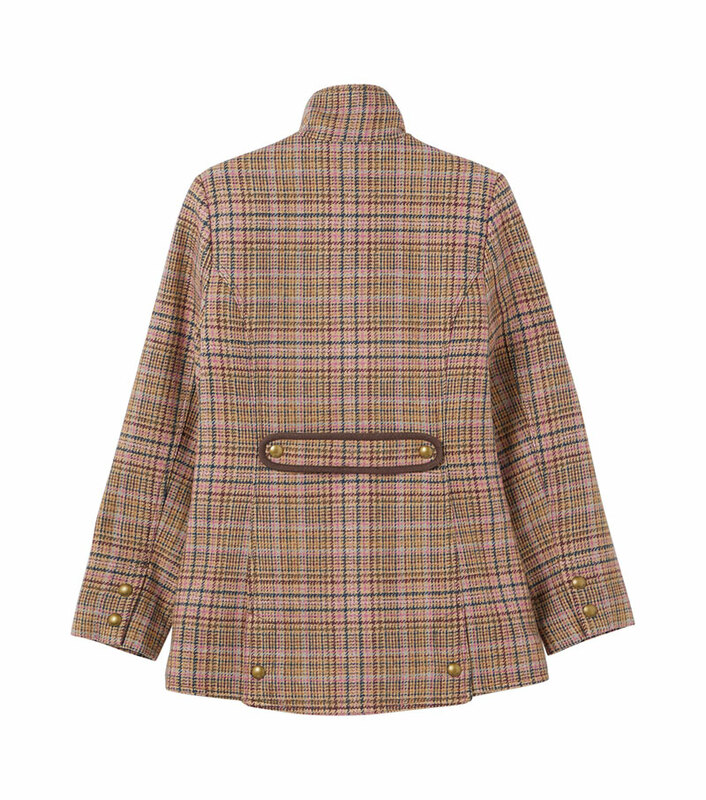 Semi-fitted for a flattering shape with a suede collar, double entry bellow pockets and a quilted, printed lining which contrasts perfectly with the checked tweed design.